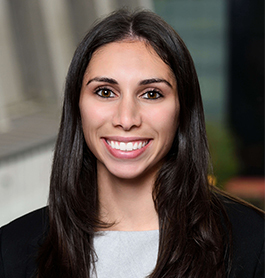 Carly A. Chocron is an associate at Monico & Spevack. Since joining the firm in early 2017, Carly has represented clients in a variety of criminal matters in both federal and state courts. Carly graduated from the University of Michigan in 2013, receiving a Bachelor of Arts in Sociology. She earned her Juris Doctor from Loyola University Chicago School of Law in 2016. During law school, Carly served as a 711 law clerk at the Cook County Public Defender’s Office, Criminal Felony Division.